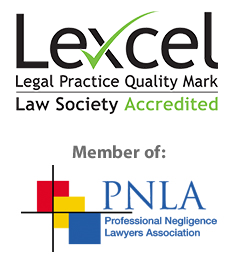 If you have suffered the double stress and trauma of being involved in a civil claim or dispute and your Solicitor has negligently lost your claim or defence or damaged it as a result of their negligence you will not only have suffered a loss but will rightly feel badly let down. There are many different types of civil litigation, claims and disputes and also many ways in which a Solicitor may be negligent and cause you a loss. Whether you were bringing or defending a claim it is possible for your Solicitor to be responsible even when you have instructed them to proceed in a particular way, which caused the loss, if part of their advice upon which you relied upon in making your decision, was negligent. The advice of your Solicitor as a whole has to be considered and your instructions put into context against the advice given. For example, if you were warned that your case had a serious risk of losing your Solicitor might argue that you simply knowingly took the risk, whereas it might have been the case that they did not warn you as to the costs consequences or gave you such inadequate costs information that the risk you thought you were taking was completely different to the real risks and consequences in your case. It is important to use an experienced team when it comes to making any sort of claim against a Solicitor or other legal professional because these cases are often complex and difficult and the Solicitors and Lawyers’ Insurers will use many legal arguments to challenge your claim. This is particularly the case when the subject matter of the claim is a previous Litigation claim, defence or dispute. When a Litigation claim, defence or dispute claim goes wrong there are often difficult aspects to the case, which led the Solicitor to make a mistake. This gives the Solicitors’ Insurers the opportunity to argue that not only was there no negligence, but also even if there was, your claim or defence would not have succeeded or you would not have obtained the outcome, which you say, was lost by the Solicitor.